This increasingly popular technique promises sleek, precise brows. Threading is a hair removal technique that has been practised for thousands of years in the Middle East and South Asia. In recent years it has become more and more popular in Europe and the West. The technique uses thread to remove hair from the eyebrow, upper lip and bikini line. The thread is created from cotton that is twisted on itself, and the technique pulls the hair from the root. This allows for precise hair removal, giving your brows a professional looking finish. 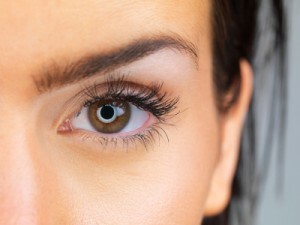 Umbreen Sheikh, founder of Wink Brow Bar in New York says you can get within a millimeter and pull just one tiny hair from the brow. She also points out how important it is to go to a professional. With a host of in-store and mall kiosks popping up, it can be easy to assume they are all professionals – but this isn’t always the case. Sheikh recommends asking whether they have a licence and what kind of thread they use (they should use 100% cotton anti-bacterial thread). While this doesn’t necessarily mean they have brow knowledge, they will be able to perform the technique safely. When it comes to shaping your brows, be sure to talk to your technician before they get started. Discuss the shape you would like, the thickness and whether or not you want any areas left alone (for example, some people prefer to leave the hairs above the brow). To find out more about this technique, please see our dedicated threading page. Book a threading appointment today using our advanced search tool.